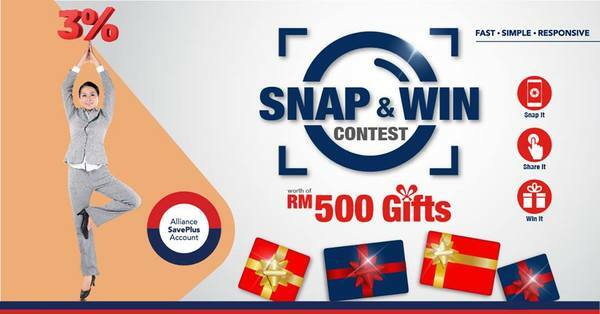 SNAP IT, SHARE IT, & WIN IT! (Contest has ended) SNAP IT, SHARE IT, & WIN IT! STEP 1 : Snap a photo at any of the Alliance Bank branches when you open an Alliance SavePlus Account. STEP 3 : Get your friends and family to 'LIKE' the photo and the photo with most likes will win amazing gifts.